In Call of Duty: Infinite Warfare, with Salvage you can create your own prototypes. Since there are many different types, you need a lot of Salvage Points. In this guide we show you how to get a lot of Salvage quickly. There are two ways to get supplies. You can buy for real money or you can laboriously work out keys. However, this is either expensive or tiring, especially if the desired prototypes are not included. Therefore, it is more productive if you collect your Salvage because it is easy to find and you can find them according to the quality. - Mission Team: If your mission team increases your rank, you will receive salvage as a reward. - There are different stages of salvage collecting. These are gray (ordinary), blue (rare), purple (legendary) and orange (epic). If your mission team reaches a higher rank, your chance for better rewards and high-quality salvage increases. - Don’t test too many mission teams in parallel, but try to reach high levels, so your chance of better salvage increases. - With the supply drops you always find something valuable. For this you need your keys and can get several rewards. - The items are automatically converted to salvage if you already have one. This gives a small bonus and you don’t need to manage duplicates. - And you can also get a bonus, because the supply drops sometimes bring you a salvage bonus, which promises you extra-Loot. - Activity bonus: Call of Duty: Infinite Warfare gives you daily rewards in the form of salvage items and similar items. If you have a season pass, your rewards are even increased. 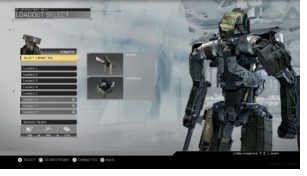 In the menu of CoD: Infinite Warfare, you can create a new war machine in the prototype lab. Navigate the individual variants and look for possible tiers for your favorite weapons. How much salvage you need for it is different, but you must have enough Salvage collected.